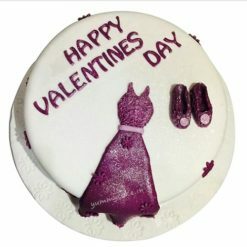 Valentine’s Day is just around the corner and couples have already started to look for unique ways and ideas that will help them to make this day extra spectacular. If you are faced with the challenge of too many options and don’t know which one to choose, allow us to give you a helping hand. We can suggest you with amazing possibilities that are not only going to appeal to your partner but will also be well within your budget. 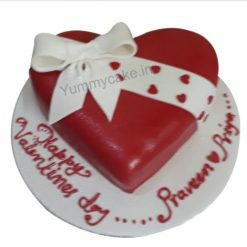 Valentine Cake is the best way to woo your partner and show her or him how much special and important he or she is for you. 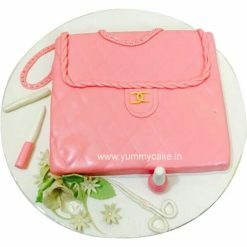 This lovely sweet treat has always been able to express delicate emotions and sentiments when words seem to fail. 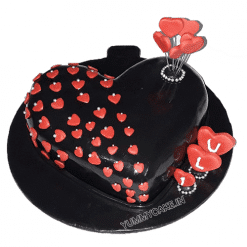 At Yummy Cake, we bring you a fantastic range of delicious Valentine Cakes that will eternalize your love forever. 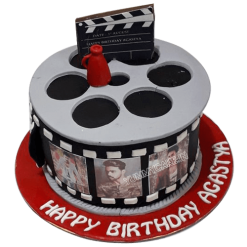 Although for people who are in love, every moment is special and something to celebrate but Valentine’s Day seem to evoke passion which is unparalleled to any other day. 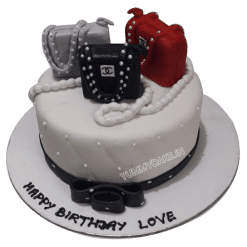 Many people choose this day to propose; some go an extra mile to make the day special for their partner and some decide to take their relationship a notch higher. 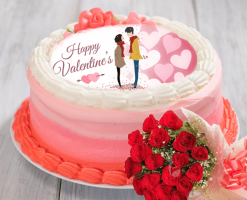 Irrespective of what you choose as new relationship goals, make it special and seal it with a delightful Valentine Cake. 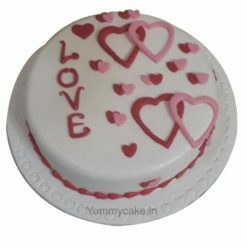 Make this Valentine Day extra special with a Luv n Love Cake at Yummy Cake. 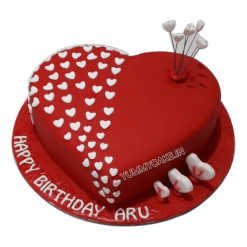 It is a lovely heart-shaped, chocolate cake with thick, creamy, rich topping and attractive trimming done with red heart-shaped icing. 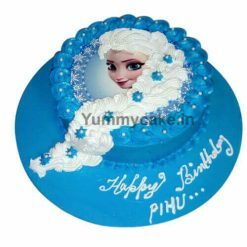 Check out many other options available with us and make the day truly special for your special someone by getting the desired cake for her. February is the month of Love. This month is extraordinary for the couples who are in a serious relationship or wish to propose to their crush. If you are one of them, you must start preparations in advance and ensure that every moment becomes special and memorable for her. Right from the Day 1 of the Valentine’s Day Week to the 7th Day, give her something to cherish. 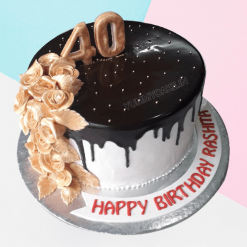 You will be surprised to know how simple and easy it is to bring a smile of sheer joy on the face of your loved one with simple, love-filled gestures. The lovers use the entire week to express their feelings to someone whom they love from the bottom of their heart. Make every day of the Valentine’s Day extra special and memorable for your partner. 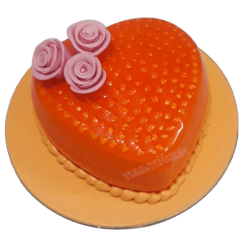 Rose Day- The Valentine’s Day week begins with the Rose Day on 7th February. On this day, people gift beautiful, dew-fresh roses to their loved ones and express their joy in sharing a remarkable relationship with them. 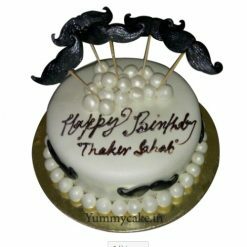 The day is marked with a lot of love, passion, and happiness. Roses express the tender love shared by the couple. 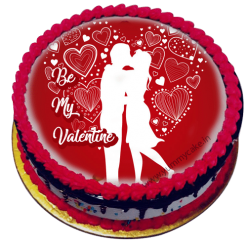 Propose Day- This day is one of the most important days of the Valentine’s Day Week, especially for the person who is planning to propose to his loved one. 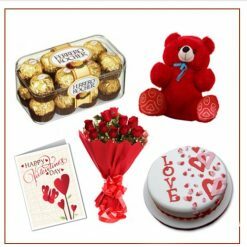 Celebrated on 7th February, it is this day when you can plan to woo your loved one and pamper him or her by showering a variety of gifts and goodies. 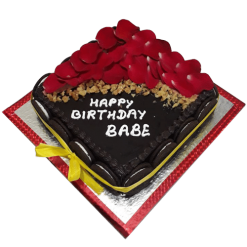 Make it extra special by expressing your heartfelt feelings for her. 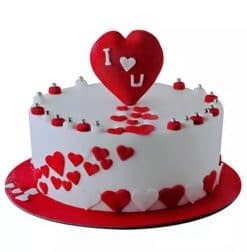 Chocolate Day- The third day of the Valentine’s Day Week is the Chocolate Day. 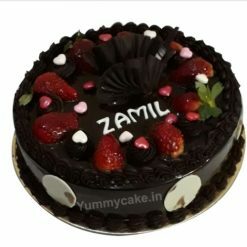 Celebrated on 9th February, the day is made sweeter than ever with chocolates. 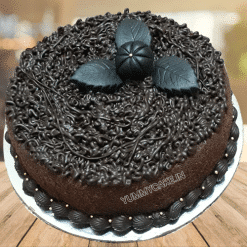 You can also go for a chocolate Valentine cake available at Yummy Cake and enjoy its delectable flavor together to mark this lovely occasion. 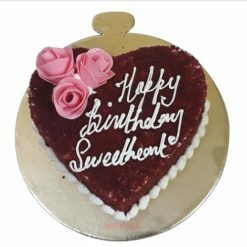 The significance of this day is to add sweetness in the relationship which continues to sweeten the couple’s lives for a long time. 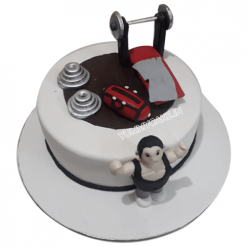 Teddy Day- After showering your partner with sweet delicacies, now is the time to gift her with a beautiful gift and what better than a teddy to bring a smile of joy on her face. It is believed that women are more readily impressed with teddies and it adds magic to the relationship. Promise Day- Celebrated on the 5th day of the week, Promise Day is the day to commit yourself and make promises with your loving partner. Both of you can promise to stay in love with each other until eternity. You will also have to stay true to these promises and work hard to fulfill them. Hug Day- It is the 6th day of the week and is celebrated on 12th February. 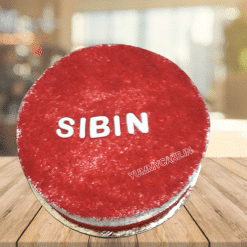 On this day, you can show your love for your loved one with a tight yet tender hug. Kiss Day- It is a very popular day among couples when they exchange a kiss for sealing their relationship with love. It is a cute gesture that speaks volumes without exchanging a single word. Valentine’s Day- Finally, the most important day arrives. It is a big day for the couples in love. 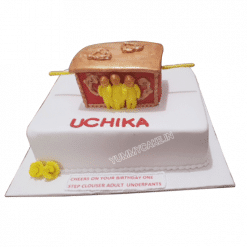 They think about a variety of ways to make it special and memorable for each other. Take the opportunity to express your tender love to the person who has suddenly become very important and special in your life. 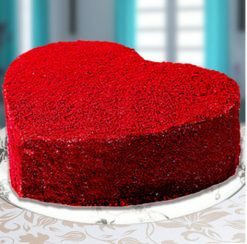 Buy the best Valentine Cake at Yummy Cake and make the day sweeter than ever. 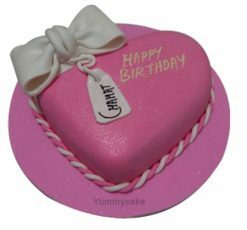 We at YummyCake offers the best range of Valentine Cakes online. 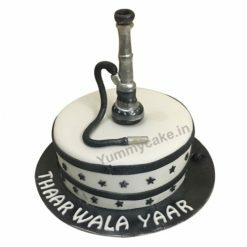 Go through the cake listing and explore an exclusive range of options that are sure to suit your preferences and tastes. 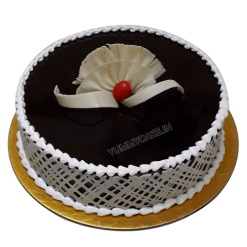 Besides regular flavors, we have many more distinctive flavors available with us. 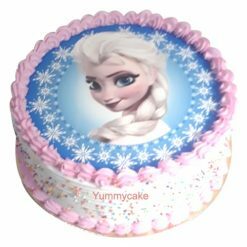 You can choose from among them and place an order with us for online cake delivery in Delhi. 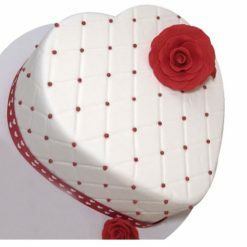 We send Valentine Cakes at the recipient’s address well in time. 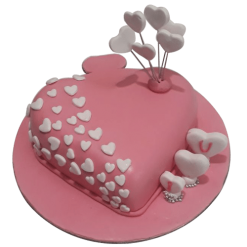 We are messengers of love and carry your delicate emotions in the form of cakes to your beloved! 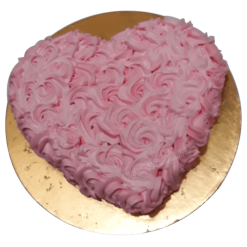 Choose your favorite Valentines day cake or valentine chocolate cake and send your order online to your beloved boyfriend and girlfriend. 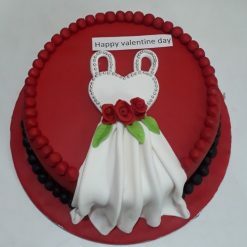 We will save your time and money both to deliver valentine cake at your doorsteps on the same day. 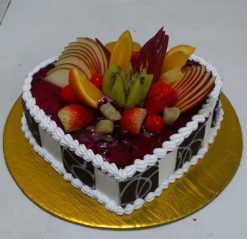 If you want we can deliver valentine’s day cake in midnight with affordable price. 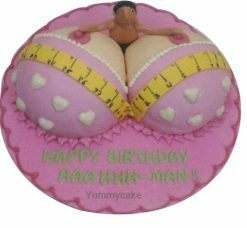 We have special offers for those who want to send valentines day cake and valentine’s day gifts for her and him in Delhi NCR only. 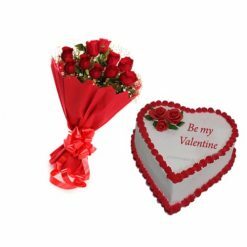 Give a call us on 9718108300 and send flower and cake to your loving ones on 14th February. 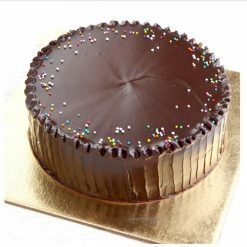 We have a wide variety of Valiente day cake in different flavors such as chocolate, vanilla, strawberry, pineapple and more. 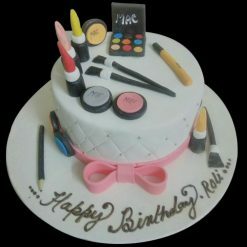 Don’t be late and book your order now. 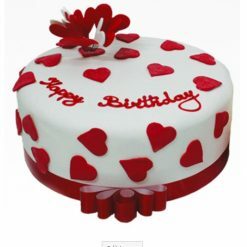 Valentine’s Day is a celebration of love and an important day in the lives of every person who is in love. Many couples choose this day to express their love for each other. If you are planning to make this day special for your soulmate, do not hesitate to go all out with the preparations. 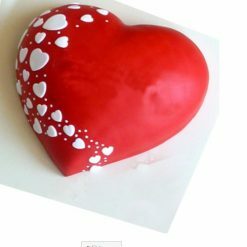 After you have chosen a nice gift and card, look for delectable Valentine Cakes. 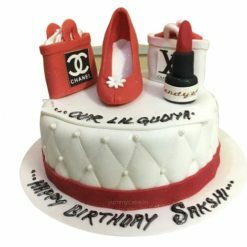 You just need to visit YummyCake, a renowned Cake gifting portal and explore the range of cake options available with us. 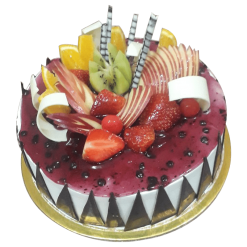 You will be surprised to find amazing flavors perfectly suitable for the occasion. 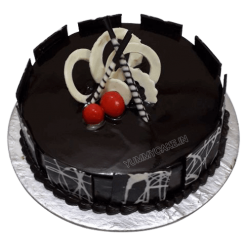 YummyCake, your go-to cake partner brings some of the freshest and delectable choices of cakes to your doorstep. Celebrate this Valentine’s Day with us and make it memorable.